Alternative Fuel Vehicle Odyssey is the largest, nationwide event dedicated to promoting the use of and educating numerous audiences on alternative fuel and advanced technology vehicles. Register to host an Odyssey event in your area. For more information about how to host an AFV Odyssey event, contact Virginia McMillen at: Virginia.McMillen@mail.wvu.edu or 304-293-7882. National AFV Day Odyssey is moving to April 20, 2017. Learn more about the NAFTC! 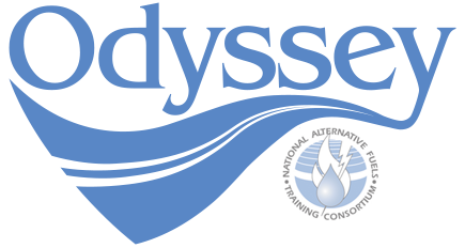 Odyssey will next take place across the country on October 17, 2019. Join us as we drive toward a clean secure energy future! Stay up-to-date on the latest news and Odyssey activities by following Odyssey column in the NAFTC blog, Driving Alt Fuels. We invite you to explore past Odyssey events through individual event web listings and our 2002 – 2014 Executive Summaries. Currently recruiting AFV Odyssey event hosts, sponsors, and partners.